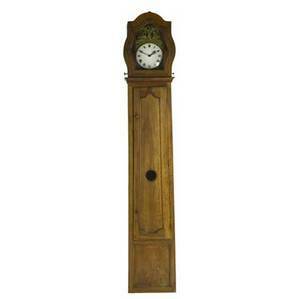 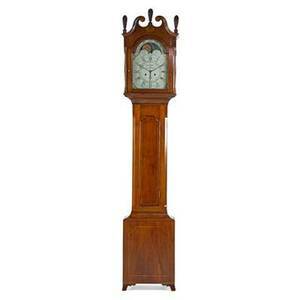 Country french grandfather clock, 19th c. in walnut case with a time and strike movement. 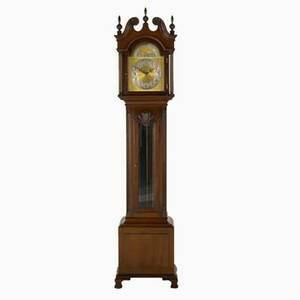 94" x 17" x 11"
Archived auctions similar to Country french grandfather clock, 19th c. in walnut case with a time and strike movement. 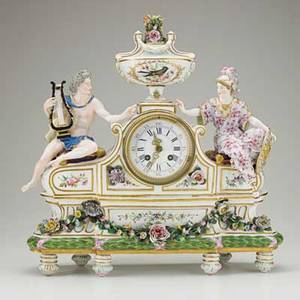 94" x 17" x 11"
French cartel clock, 19th c. in brass case with porcelain dial, eight day time and strike movement, urn finial with ram"s head mountings and swag decoration. 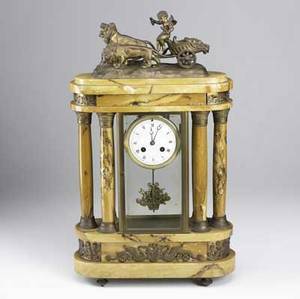 27"
French marble column clock, 19th c. figural chariot figure on top, time and strike movement. 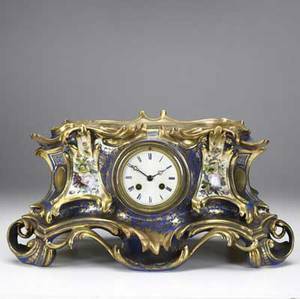 22"
Sevres porcelain clock, 19th c. french, blue and gold decorated. 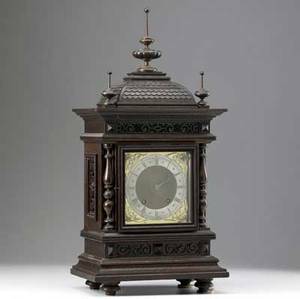 time and strike movement. 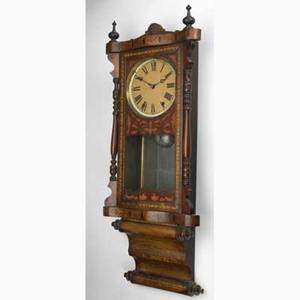 9 1/2"
Grandfather clock; colonial manufacturing co; mahogany case, mixed metals, time and strike with moon face, and eight day dial, 20th c.; 85" x 19 1/4" x 12 1/2"
French dore bronze mantel clock; louis xv style with eight day time and strike movement, ca. 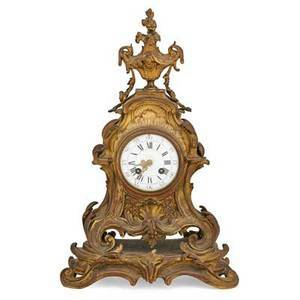 1900; 18" x 11" x 5 1/2"
Wall regulator clock; walnut case with inlay, time and strike, ca. 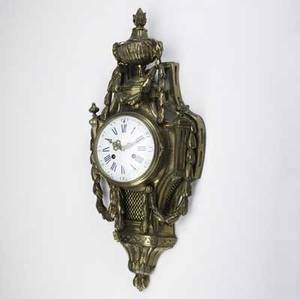 1900; jerome & co. label; 38"
Oak bracket type clock, late 19th c. silvered dial with brass trim, time and strike movement. 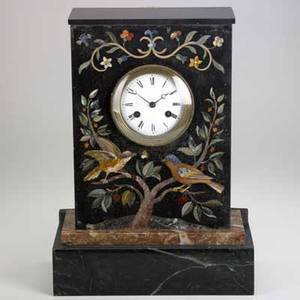 25 1/2"
French pietra dura mantle clock; marble case, bird and vine decoration, time and strike movement, 19th c.; 10" x 17" x 6 3/4"
German porcelain clock; double figure with urn top, french time and strike movement, 19th c.; 17 1/2"" x 17 1/2"" x 4 1/2""
American tall case clock; cherry line inlay, painted dial, eight day time and strike movement, french feet, yorktown, early 19th c.; signed john fisher; 102 1/2"